The conference will be held at the historic Memorial Union. 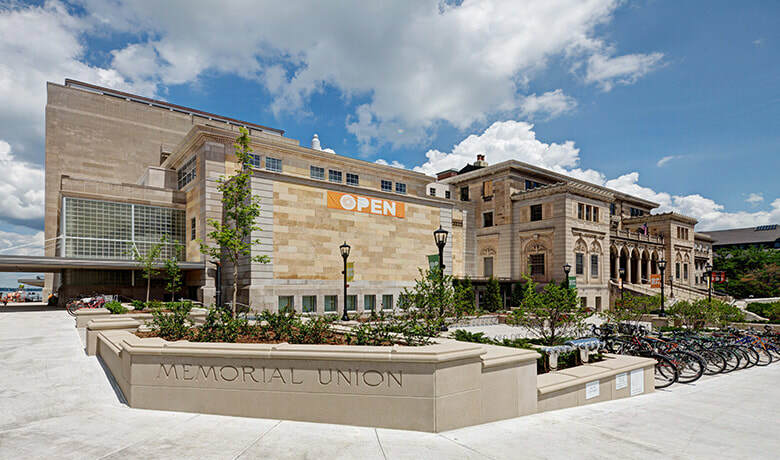 Since opening its doors in 1928, the Memorial Union has become one of the most popular and well-recognized spots in Madison. The classic Italian-Renaissance style building sits on the banks of Lake Mendota and boasts a picturesque lakeside terrace with 600 colorful sunburst chairs - now a university icon. Among its many treasures, the building houses a 1,300 seat theater, restaurants and delis, a craft shop, and a German-style tavern. Wireless Internet access is available to all conference participants. Upon check-in, each participant will receive a login and password which will grant access to the meeting site wireless network. The network is available throughout the building, including the Union Theater and outside on the Lakefront Terrace.